Our mission is simple: happier workplaces and happier employees. There is a huge difference between wanting to work and having to work. The difference between an office where people want to work and one they have to endure comes down to how engaged employees are. We call this the Employee Experience. We’re in the Employee Experience software business, so it’s important we walk the talk in our own company. That’s why we have developed a set of core values and related behaviors that our entire team is aligned around. 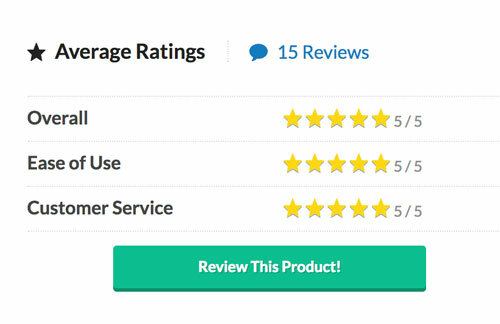 Not only does it improve our own performance as an organization, it’s a commitment to our customers that we will do what we say, when we say it. You have our word on that. This is more than just a job to us. It’s a place to thrive. Our word is our bond. Our line in the sand. But it’s a path not a destination. Continually tested and lived, day by day – moment by moment. We are more than a group of people who simply happen to work together. We are a team: collaborative, nimble and responsive. Yeah, we rock. Everybody here wins as we foster personal, professional and financial growth. Going up? We provide outstanding results by creating happier and more productive workplaces for employees and employers. We are committed to giving you a WOW experience. Anytime. Every time. Our goal is to be SIMPLY AMAZING. ’nuff said! Always ahead of the curve, we are constantly brainstorming ways to provide value as we are plugged in to the latest advances in technology, roadmaps and customer feedback. Our team is amazing. We know that’s a bold statement. But we can back it up. Better yet, experience it for yourself. We are committed to delivering a simply amazing experience each and every time. Our team is multi national, multi cultural and multi functional. This is especially important when dealing with employees from different backgrounds around the world. We don’t just sell you a service. We get invested in your company. Our high-touch, white-glove service ensures you are always our top priority. Every step of the way. Our award-winning team of videographers, producers, designers and engineers is always coming up with new ways to mentor, coach and train your staff resulting in lower employee turnover rates for you. We are only ever a phone call or email away. There are no layers to navigate. No hoops to jump through. You and your employees can engage us directly with any question you may have. So what are you waiting for? Passionate about creativity, technology and business, Robert has grown as an executive, TV producer, theater director, TV host, musician and writer. Comfortable, both behind the camera and in front, Robert has won 16 Emmy Awards for his performance in television. As General Manager of Telemundo San Diego, Robert developed his leadership skills by managing more than 100 employees on both sides of the border. Along with his brother, Alex, he founded in 2014 Clarity Wave®. Alex navigates effortlessly the waters of the hospitality business. Involved in the business of happiness for over 20 years with Häagen-Dazs, his approach has been not only to bring joy to his customers but also to promote a positive work environment. With a degree in Business Administration from the Universidad Anáhuac and a Master of Hospitality restauranteur from NYU, he worked at the prestigious The Palm group in New York and today co-owns 22 branches and is a partner of Häagen-Dazs, Mexico. Jose is a Bachelor of Industrial Design from Universidad Anahuac. He has diplomas in Organizational Development, Strategic Negotiation and Effective Communication; as well as specialized courses in e-Business, Superior Leadership, Sales Processes, Strategic Planning, Project Management and Marketing. He has held executive positions in leading companies in Mexico and the United States. Currently CEO of Proba-7 Group, a consulting partner at B & V Retail Management and a consultant at Clarity Wave. 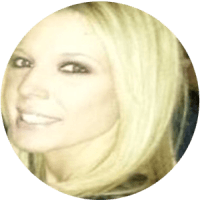 A professional of Information Technology, with experience in the area of Human Resources, Mitchell has extensive knowledge of strategies applicable to the collection, development, training, talent assessment and coaching technology. He's also a huge proponent of collaborative tools for managing key 2.0 projects, using the methodology of the HCMBOK project Change Management. Mitchell has a specialization in Project Management using PMI methodology from the University of Salamanca and is currently completing a specialization in Human Resources focusing on the alignment of New Technologies at the European University Miguel de Cervantes. Saskia is a Gestalt Psychotherapist and humanist who has a solid training structure in various specialties and national and international certifications, such as corporate leadership, Ontological Coaching and team creativity and innovation, NLP, among others. Saskia is an expert at diagnosing the potential of individuals and teams as well as designing and developing training courses and executive programs in human development. She also lectures on leadership for results, increased sales, teamwork and human behavior for extraordinary achievements. 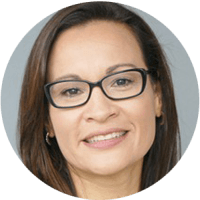 Saskia has an innate vision for business and extensive experience in consulting with Mexican and multinational companies. Adrian is an expert implementing and developing Systems that relate to Human Capital. At the age of 26 he founded his first company with which he achieved the "Entrepreneur of the Year" and "Mexican Company of the Year" awards during 2015 and 2016 by the Latin American Quality Institute. Its services have been factor of hiring for companies of sectors of the Industry of the Aviation, Agave, Hospitality, Hospitals, Manufacturing and Services, among others. Graduated in 2002 from the Licenciatura en Sistemas Computacionales, he has the firm intention of supporting the new generations in developing their talent within the Information Technology and Organizational Development. Originally from the San Francisco Bay Area with a background in the advertising and marketing industry, Jamie Has an extensive background which includes sales coaching, training, cold calling, and specializing in new business development, producing Strategic business campaigns in all aspects utilizing both traditional and new media digital. Jamie has worked with companies nationwide on various projects she also develops partnerships with both agencies as well, as, works closely with many other direct businesses and entertainment and sports teams, she specializes in developing and executing premium digital solutions as well as design media plans that are highly effective and aggressive in the results that are brought to the table. Yuliet was born in Venezuela and has lived in Costa Rica for more than 10 years. She has a degree in Industrial Relations with emphasis in industrial security, graduated from the University of Carabobo, Venezuela. She has held positions in Human Resources, Administration and Sales Headquarters with a specialty in customer service. Yuliet has a great ability to generate and cultivate relationships with customers thanks to her ease of expression. For Yuliet the customer is paramount in the process for a successful sale. Currently specializing in the area of ​​Organizational Climate systems to generate pleasant and productive working environments. Rafael was born in Toluca, Mexico with permanent residence in Costa Rica. He has focused on consulting for the integral development of companies in Central America, USA and Mexico. He obtained his degree in the ITS University of Mexico and his postgraduate degrees in Organizational Development and Administration in the Ibero-American university of the same country. Master of Science in Industrial Engineering with specialties in Lean Manufacturing Systems. Administration and management of companies in the service, advertising, manufacturing and food industries. 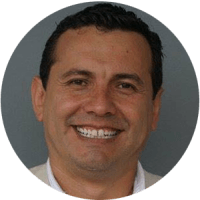 He has held General Management positions for multinational companies, as well as the development of OD programs at companies in Central America, USA, Mexico and Spain. Specialist in system of Leadership, Coaching and development of work teams. Pedro Piñango is an entrepreneur with a BS in Computer Engineering from Simon Bolivar University in Venezuela. He has been part of management teams of Startups during the acceleration process in recognized programs such as Wayra, Startup Chile and Techstars. Pedro is always looking for the right problem to solve, joining the adequate people with the appropriate tools to do it. Juan C. Alvarez is an IT consultant graduated from the National University of Engineering Nicaragua. He is a Systems Engineer with more than 10 years of experience specialized on Web Based Business Solutions. Juan Carlos loves technology, is a Software Developer by trade and provides guidance and implementation services to companies looking to leverage Information Technologies, helping come up with pragmatic business solutions, covering software and services. He believes that, in order to be a relevant and effective Software Architect one needs to remain a deeply knowledgeable, up-to-date, and productive software developer. To this end, Juan Carlos enjoys remaining hands-on. 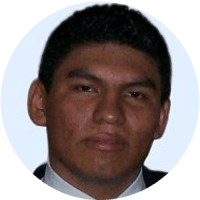 Rodolfo Augusto Alvarez Patria, Systems Engineer (IT), is a programmer in the development area at Clarity Wave. 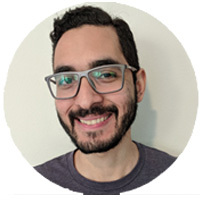 Before starting at Clarity Wave, Rodolfo worked as a Jr. developer at DirecTV, Venezuela, and the development company, Nautilo Sistemas C.A. He's an Engineer, graduated from the National Polytechnic Experimental University of the Armed Forces, Venezuela, Sub-Lieutenant of the reserve, works full time for Clarity Wave. Clarity Wave was founded by Robert and Alex Moutal, two brothers looking for a specific type of employee engagement software that would help Alex lower the employee turnover rate at Häagen Dazs. Problem was, it didn’t exist. After interviewing more than 100 HR managers, industrial coaches, psychologists, CEO’s and owners of several companies, they realized there was a pressing need for this type of service that extended far beyond the 25 ice cream stores Alex owned. Determined to solve the employee experience issues they uncovered, the brothers recruited the best talent in the industry, built an award-winning team and invented Clarity Wave. The rest as they say, is history.